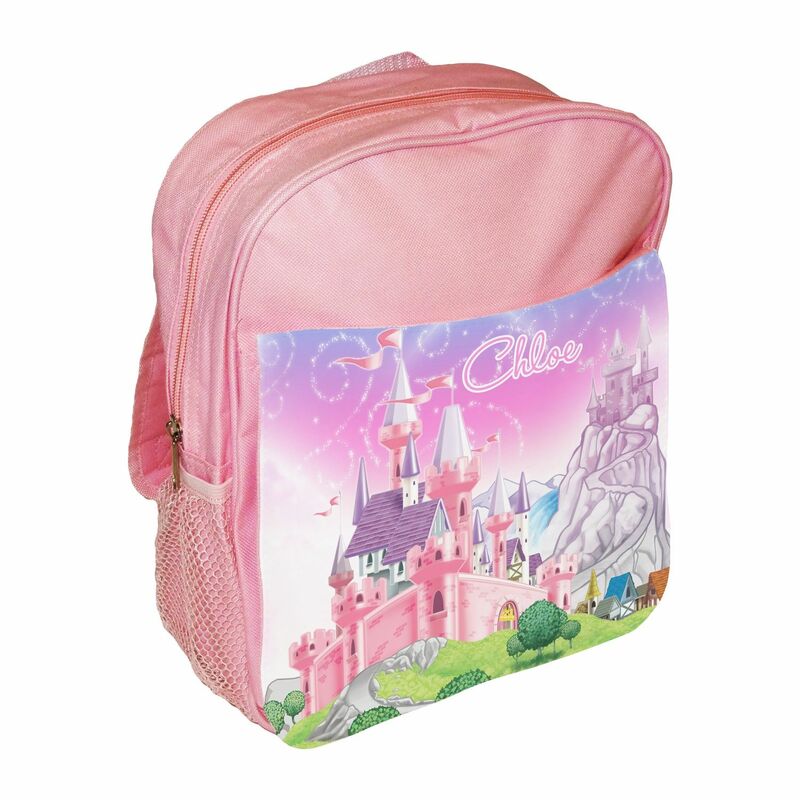 This children's backpack is perfect for school and will make great gift. The front flap of the bag, which measures approx. 25cm by 21cm is fixed to the bag with velcro and is removed for printing. There is a large front storage pocket behind this flap. The bag comprises of one zip compartment. There is also a mesh pockets on one side, ideal for carrying drinks bottles and is smaller velcro pocket on the other side. The straps are padded and adjustable. The bags are made of hard wearing canvas.